Ultimate Fighting Championship (UFC) featherweight Nik Lentz is coming off a unanimous decision loss to Islam Makhachev at UFC 208 last February in Brooklyn, so as you might expect, nobody is paying much attention to him. 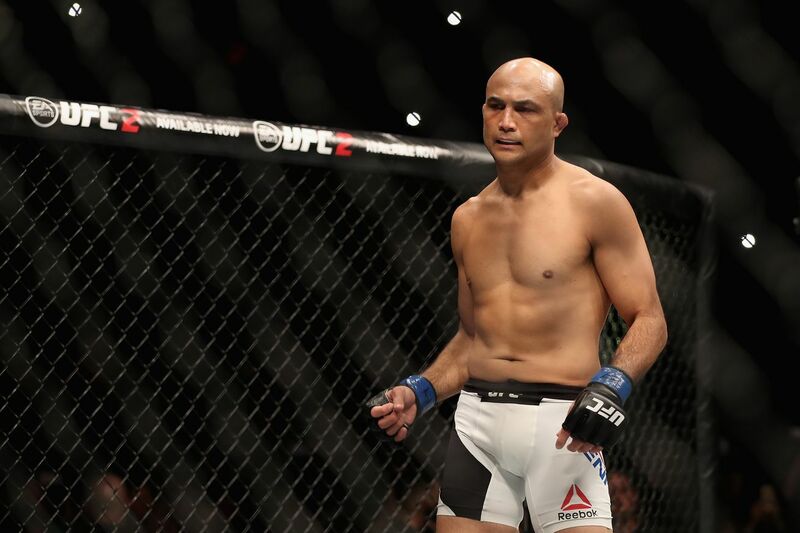 That might explain why “The Carny” is having an episode on Twitter, calling out fellow 145-pound combatant BJ Penn while endlessly mocking “The Prodigy” for his recent loss to Dennis Siver at UFC Fight Night 112 in Oklahoma City. See the rest of his tirade here. Lentz had a war of words with Penn back in early 2016, referring to the former welterweight as an “embarrassment to his family.” Penn eventually took the bait and there was talk of a showdown at UFC 197; however, that bout never came to fruition for a variety of reasons. It should be noted that Penn (16-12-2) held UFC belts in two different weight classes, while Lentz (27-8-2, 1 NC) — competing inside the Octagon for nearly eight years — has yet to earn a single title shot.